The LM2901 devices consist of four independent voltage comparators that are designed to operate from a single power supply over a wide range of voltages. Operation from dual supplies also is possible, as long as the difference between the two supplies is 2 V to 36 V, and VCC is at least 1.5 V more positive than the input common-mode voltage. Current drain is independent of the supply voltage. Supply Voltage: 0.8 mA (Typical). Low Input Bias Current: 25 nA (Typical). Low Input Offset Current: 3 nA (Typical) (LM139). Low Input Offset Voltage: 2 mV (Typical). Common-Mode Input Voltage Range . Differential Input Voltage Range Equal to. Maximum-Rated Supply Voltage: ±36 V.
Output Compatible With TTL, MOS, and CMOS. 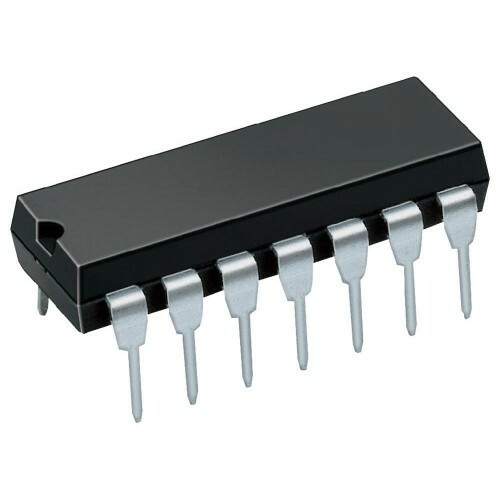 Also Searched as : LM2901 OP-AMP, LM2901 comparator.